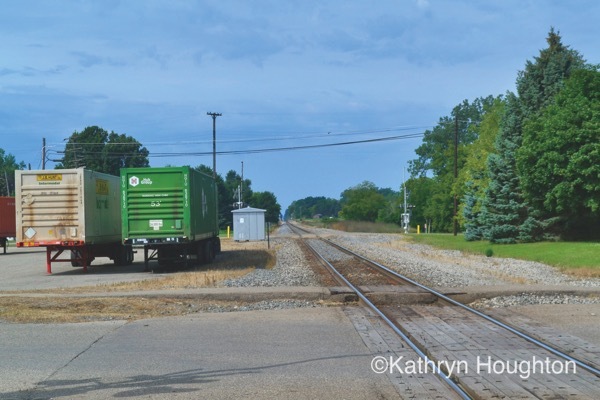 In her book Little Michigan, Kathryn Houghton takes a nostalgic look at Michigan’s smallest towns; today, she takes us to Bancroft. 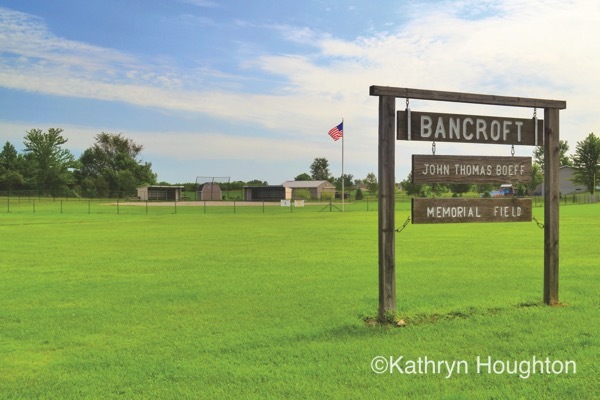 Bancroft is home to the Van Agen Sod & Tree Farm, a sixth-generation family-owned farm. The Van Agen family, originally from Belgium, first started their farm in Roseville, Michigan, but when the construction of I-94 broke the farmland into three sections, they moved to Bancroft, where they have been selling sod ever since. In 1877, the Chicago and Lake Huron Railroad extended to the place where Bancroft now stands. N. S. VanTuyl selected the site to begin a lumber business, and he built the first frame structure in the area. The village was officially platted in that year, after a previous platting had gone unrecorded, and its post office, which is still in operation today, opened. John L. Simonson was named the first postmaster, and the first village elections were held in the spring of 1877. L. C. Shelley was elected the first president. Within the first few years of its founding, the village had a hotel, a school, two planing mills, a sawmill, and a flouring mill. A series of fires impeded Bancroft’s growth but were not enough to stop the success of the town. Bancroft was in a desirable location, and the Ann Arbor Railroad was considering the village for the site of a junction. Indeed, the village leaders had so much confidence that Bancroft would be selected for the site of the junction that they refused to give in to the railroad’s requests and, in the end, lost the junction. It was a setback, but not one that would cripple the town. The village was still a stop on the Chicago and Lake Huron Railroad, and, by the early 1900s, Bancroft had gained a second hotel, a furniture factory, a screen factory, a foundry, a gristmill, and an elevator, and had also signed a contract with an electricity company to bring public and private electricity services to the town. Still, in the early part of the twentieth century, the population of the town began to decline slightly and the lumber business began to taper off. Though the village is no longer the thriving lumber town it once was, the community has not given up. The village council is working with residents to enact a plan of revitalization for this small town. 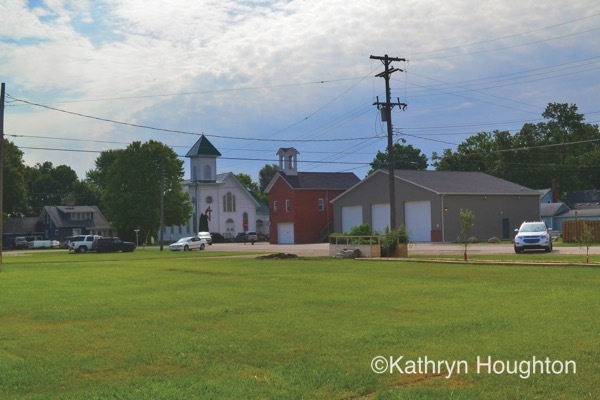 In the meantime, Bancroft has a fire station, a village hall, a post office, a gas station, a party store, a library, and a funeral home.There are three churches in the community: the First Congregational Church, the First Baptist Church, and Bancroft United Methodist Church. Residents and visitors alike can enjoy a cup of coffee at the Village Coffee Cup or relax with an adult beverage at Woody’s Bancroft Tavern. The community hall is available for rent for community events, and there are two parks as well. If you enjoyed this post, you might also like Ahmeek, Home to the Last Manned Lighthouse on the Great Lakes. For more stories from Adventure Publications, sign up for our newsletter here.